Can we now stop the whingeing? Thank god the Dogs won. Imagine it. Imagine some of the drivel that would have be written and spoken down here – in Mexico – if . . . oh my god . . . two teams from Sydney were in the grand final of the expanded VFL competition. I enjoy the saturation footy coverage in Melbourne, but sometimes it is all too much for someone from Queensland. Not so much the saturation – but the Viccentric-ness of it. It isn’t the VFL anymore. It is the AFL, which was once the VFL. And Mexicans have been able to keep all of their long and wonderfully colourful history. And that includes the narrative this week of the Dog’s heartache over the past six-decades. I am envious of that. I sometimes wish I was a “long-suffering Demon” or a “Dog-tragic”. I have never felt that way about Richmond. Demons and Dogs seem so much more sanguine and Zen than most of the Tigers I have met. 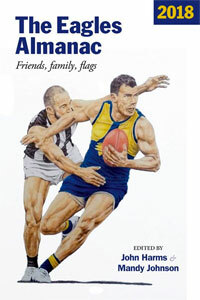 I went to Mark Pennings’ book launch last week (Origins of Australian Football: Victoria’s Early History). 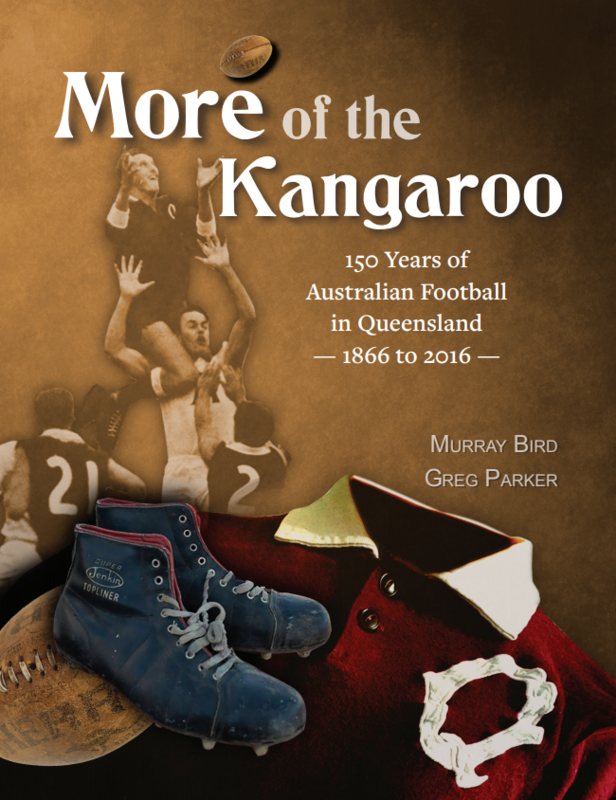 He has written four volumes containing amazing research on the history of nineteenth century football in Victoria. His work is so detailed and thorough, and interesting. If you claim that you enjoy the history of footy you should buy Mark’s books. They help explain some of that inter-generational support that Mexicans have for Australian football. The latest volume of Mark’s work is entitled Tough Times: Victorian Football Loses Its Way, 1891 to 1896. In 1896 ? the year before the VFL was formed – Hawthorn were the only current Victorian club that wasn’t playing in the VFA. And Fitzroy is the only club to fall by the wayside over the next 120 years. Williamstown and Port Melbourne were the twelfth and thirteenth teams. Collingwood won the premiership and Richmond claimed the wooden spoon. The expansion of the VFL has allowed those from the “home of football” to have a continuum to their footy heritage that those from other states do not have. As a Brisbane supporter, I like the Fitzroy connection to all of this (by coincidence, I was a Fitzroy fan before the Brisbane Bears arrived). 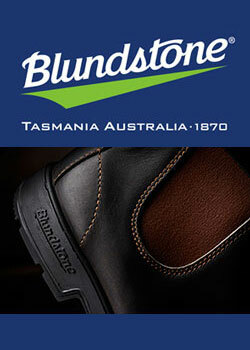 But my footy heritage is in Queensland. For most Queenslanders (and New South Welshmen?) who are followers of Australian footy, the expansion of the VFL has been, on balance, pretty bloody good. But it is the AUSTRALIAN FL, and “keeper of the code’s” drive to “expand and create new markets” has been painful for Mexicans and non-Mexicans alike. Footy has changed so much over the last 30-odd years, and some of those changes haven’t been good. I’m back in love with footy though, I must be. I started to “tear-up” when the Dogs beat the Giants. Bob Murphy, Peter Gordon, fans crying in the stands, commentators reminding us for the 27th time about 55 years and 20,000-something days. Courtesy of some judicious punting – Swans (1-39), Eagle Farm roughie, into GWS – I had the Giants to beat the Dogs for a poultice (1-39), and a bigger poultice to win the premiership. I must be back in love with footy. I was “choked up” because of what the win meant to so many people. I was swept up in the narrative of the week leading into the preliminary finals. It was all about the Dogs, and their (tragic) history. The Dogs won, and footy was good, and I was poor. And that fantastic preliminary final came on the back of a fantastic footy season, even before the Dogs had made the grand final. There were few games that resembled a rugby match. There were free-scoring contests. There were amazing physical clashes and spectacular marks were taken each week. Melbourne beat Hawthorn. Richmond beat Sydney. Brisbane beat . . . Essendon’s VFL team. There were no drug scandals to hijack the headlines. The Bombers received their first positive press in four years. Heading into the finals series it looked like any of six teams had a real chance to win it. It turns out there were seven. Melbourne and St Kilda are on the rise. Adelaide made an amazing recovery from the real tragedy of their coach’s murder. Greater Western Sydney played some fantastic footy (their home win over Hawthorn and the Qualifying Final demolition of the minor premiers, for example). Brisbane is hopeless, but I am back in love with footy. But I am sick of the whingeing. And now the Dogs are in the grand final, and not GWS – well now is a timely opportunity for me, on behalf of all non-Mexicans – to have my own whinge. I am sick of it – sick of all of the Victorian-led bleating. “The AFL has got what they wanted”. The AFL wants an even competition where anyone of the 18 teams can win it. It is something that rugby league have and the AFL doesn’t. Entering two new teams and getting the “competitiveness balance” right was always going to be difficult. I don’t like the way the AFL does so many things, but they could not have been more transparent with their setting up of GWS and the Gold Coast. It wasn’t a conspiracy – all of the clubs understood what was needed, and they all agreed to the rules. They had unprecedented input on making those rules. And as for Sydney and all of their supposed “leg-ups” . . . please . . . I read last week somewhere that they have the most elevated rookies of any club. And I think the Western Bulldogs are not too far behind them. Maybe both of this year’s grand finalists are just very good at developing their players. GWS is obviously a whole lot better than the Gold Coast at that (surely the Suns will have fewer injuries next year). The Swans are a great footy club, and living in Sydney is so much more expensive than the rest of Australia. But I hope the Dogs win. The exodus of talent from the basket-case of Brisbane over the past few years is exactly why the AFL implemented a “retention” allowance. With only five-per-cent of the AFL talent coming from Queensland it is obvious that the “go-home” factor is more of an issue for northern clubs than others. I love the inter-generational fanaticism of Victorian footy fans. I envy your ability to say you’re a fourth generation Magpie. Or that your grand kid was wearing a Carlton T-shirt when they were three-days-old. But give us – those from north of the Murray River – a break. The expansion of the VFL has been difficult for many, and I would argue that there has been much more trauma outside of Victoria, and that there is no better example of that than in the community football clubs of Brisbane. 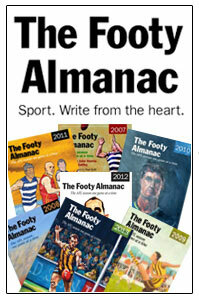 Recent articles on the Almanac site have lamented the damage that the national competition has done to “state leagues” in Melbourne, Adelaide, Perth and Tasmania. I have visited the “offices” that once-proud clubs like Coburg, Swan Districts, East Fremantle and Norwood now operate out of. They are ramshackle, dark and deplorable. I imagine the story is the same in Tasmania. The national competition has ripped-the-guts out of the clubs in the SANFL, WAFL and TSFL. Clubs that once boasted thousands of members struggle to survive. A visit to the facilities at East Fremantle, Norwood and Coburg are step back into the early-1980s. But still the TSL, WAFL and SANFL survive. And SANFL (25-35,000) and WAFL (15-25,000) still get respectable crowds to their grand finals. There seems to be a residual of community support for the clubs in those competitions. In Queensland in 1986 – the year before the arrival of the Brisbane Bears – there were ten vibrant and viable clubs playing in the QAFL. Crowds of 10,000-plus would attend grand finals. Players like Scott McIvor and Jason Dunstall were emerging in the then VFL. Within 15 years – after the ill-fated and ill-conceived arrival of the Brisbane Bears – eight (Coorparoo, Kedron, Mayne, Sandgate, Sherwood, Western Districts, Wilston-Grange and Windsor-Zillmere) of those ten clubs were either bankrupt or defunct. If Mark Pennings was writing about Queensland football history his title may well be: “Tough Times: Queensland Football Loses Its Way, 1991 to 1996”. Or maybe – “How the VFL/AFL destroyed the QAFL, 1986 to 2000”. The QAFL clubs (except Southport) have never recovered. Some have resurfaced and are struggling along. I went to the QAFL Grand Final last week. 1500 fans watched Labrador defeat Palm Beach. The standard of footy was not bad, but it was a far cry from QAFL Grand Finals at a packed Gabba in the 1960s and 1970s. The expansion of the VFL into Queensland decimated a strong local competition containing clubs with 40, 50, 60 and 70-year histories. 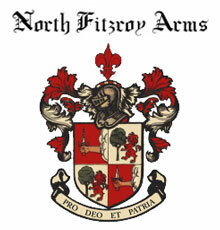 My family’s club – Coorparoo (founded in 1937) – had nearly as many members as Fitzroy. The expansion of the VFL competition irretrievably damaged community clubs in Brisbane. That history is almost gone. The expanded VFL survived because of the Sydney Swans, West Coast Eagles, Brisbane Bears and Adelaide Crows. It has thrived since the arrival of the Fremantle Dockers and the Port Adelaide Power. The expansion into Western Sydney and the Gold Coast was visionary but risky. Can we stop whingeing about the bias. I think Queenslanders have more reason than any to complain about bias. Or at least from a lack of voice. The anomalies and biases in the make-up of the AFL commission are obvious. No black fellas, not enough women, too many lawyers, and too many suits from Melbourne private schools. The AFL commission has never had a Queenslander in its 30 plus years. And that doesn’t look like changing any time soon. Go the Dogs. I hope they win, and I hope Mexicans find something else to whinge about next year. Hear, hear, Murray. But please don’t ever get sick of Tasmanians whinging about not having an AFL team and being taken for granted. GWS should have been our team and we are very envious of the gazillions of dollars poured in to the project. Footy is rooted here too. Used to support a team that doesn’t exist anymore. Go doggies!! Hear hear, Mark. Just beat me to it. Are you a builder, Murray? So many nails thwacked fair and square on the head. Well written. It is sad to see the demise of clubs in a range of sports where the Sydney or Melbourne-centric masters prevail. They want “national competitions” for the money from broadcasting rights, but they really don’t want the outsiders to win. And well done on your honesty regarding the awarding of votes in that infamous Carlton v Melbourne game when Greg Williams had 44 possessions. It takes a lot of guts to admit the umpires got it wrong. I can resonate with the Queensland clubs that haven’t recovered. I’m a former player, committee member and ‘life member’ (What’s that mean when you outlive your club?) of a once proud, long-standing footy club that has been gone 25 years – Brunswick from a now defunct competition called the VFA. Brunswick died a quick death in 1991. Although not directly the fault of the VFL/AFL, Brunswick’s demise was a result of the club stuck in a rut and not moving with the times…..as well as the consequence of a successful lawsuit brought upon it by a greedy former VFL player and his even greedier manager. Murray, thanks for writing this. The stuff that some of us have to put up with from Victorians – in positions of leadership within their Clubs, in the mainstream media, the blogosphere and Big Footy – really gets to me. I’ve drafted three comments on this post, but have decided to leave it for another day, because it detracts from the scale of what is occurring, rather than just focusing on my club (and by extension, me as a supporter) who bears the latest extent of it. You don’t want to begrudge any team a chance of winning a flag, but sometimes it gets a bit rich if you are starting to begrudge the existence of teams outside a “footy state”, even though it’s the national game and they’ve been playing the game at club (and state) level for decades. Excellent and correct analysis, Murray. And congratulations on your book, “Athenians & Red Invincibles” Origins of Qld. Football 1866 -1900. I am keenly awaiting your Qld. football history book from 1900 to the present. I think you can be challenged on this comment though “The AFL wants an even competition where anyone of the 18 teams can win it”. History reveals that since 1979, if a club is in the poorest six of football dept. spending (not including player wages), it is extremely difficult to win the AFL premiership. The only exceptions since 1979 have probably been only Nth. Melb. and Pt Adelaide. The player wage salary cap does not cancel out the richer clubs great advantage and ability to employ more assistant coaches, physio nutritionists, better rehab facilities and monitoring etc. The AFL, if it really wanted all clubs an equal chance to win the GF, would have put a spending cap on the non -player wage component of the football dept. spending -and would also have lowered this spending amount. Thus poorer clubs like Fitzroy, Sydney (when it was broke), Melbourne, W.Bulldogs, Nth Melb and St kilda had realistically very little chance of winning a GF. The ability to considerably outspend on the football department, all those extra coaches and facilities etc, might improve the onfield performance by 3-5% -an overwhelming advantage. Paul Young Re Brunswick, one of the world’s oldest football clubs, founded in 1865 and initially called United Potteries and had a future Prime Minister John Curtain as a player. Paul, if the VFL did not end the thriving VFA’s Sunday game and TV monopoly in the 80’s, do you think the VFA would have continued to thrive. Also, Paul, do you think the VFA could be recreated as an elite football competition if it had enclosed grounds, playing times and TV coverage that did not coincide with concurrent AFL games? Murray – a well written and diverse piece. As an Australian who just happens to have grown up in Victoria and with friends interstate, I can honestly say that for every Vic-centric there’s an equally slanted anti-Vic. Criticism of the AFL, its corporatisation and cannibalising of the game is fair game, but all supporters, teams and states whinge and have their media-driven conspiracy theories and biases, not to mention the occasional stereotype to wrap it all up in. If you live in Geelong and barrack for another team you whinge about the Cat-centric locals, if you reside in Perth or Adelaide there’s a similar local favouritism for outsiders to deal with. I doubt Melbourne, or Victoria as you prefer to extend it to (or somewhere south of the Texas border), is any less inclusive or exclusive. But nothing, they say, is simple – I was sitting next to a Tasmanian at the footy on Friday night and when I said Tassie should have its own team he disagreed – reckon they couldn’t afford one, was happy to keep barracking for North Melbourne and, furthermore, wanted to see two Victorian teams in the grand final! Based on my trips to Tassie, I’d suggest indifferent support for their own side isn’t isolated, and then you add internal rivalries between Hobart and Launceston and it becomes even more complicated. But I still reckon they deserve their own team on the basis of fairness and inclusion, and that a way could be found. Personally, once the Cats were out of it this year I wouldn’t have minded if the GF was an all Sydney affair (not that I’m unhappy about the Bulldogs getting there). I would’ve been intrigued by the possible kerfuffle, and I might have indulgently whinged that Geelong should have a Surf Coast/Western District academy, not to mention a GF at KP – why should country Australia be overlooked in the grand final hosting stakes? But we would have survived. Back in 1992 when the Cats played the Eagles in the GF many of those dastardly ‘neutral’ Vics barracked for the West Coasters (despite all the tabloid talk about the Cup going interstate). bring back the torp – YES, YES & YES. The VFA would have survived had the AFL not monopolised every element of the game in Victoria. Former Victorian premier John Cain helped keep the VFA alive by stopping the VFL from playing on Sundays. Once the VFL took over Sundays it was the nail in the coffin. Whilst the VFA could have survived, I’m not sure Brunswick would have unless something drastic happened. Brunswick was poorly managed in the late 80’s. People with little interest in the long term welfare of the club got involved and destroyed it. I was on the committee in 1988 but had to resign due to my resolute opposition to a number of things that were happening which ultimately sunk the club. How I wish we had a ‘Phil Cleary’ type who could have saved the club as Phil has so many times with Coburg. For my own sake I had to get out and 28 years later it’s still one of the most gut wrenching things I’ve endured in sport.